Gaps in your smile can cause discomfort, embarrassment, and frustration. Left untreated, they can have a serious impact on your oral health. Our team at Dentistry at the Heights provides comprehensive dental implant services to restore the beauty and function of your smile. So why should you invest in dental implants? When properly placed and cared for, dental implants can last 40 years or more. For many patients, implants offer lifelong restorative and cosmetic benefits. When teeth are lost, the jawbone begins to shrink or atrophy. Dental implants are the only tooth replacement treatment which prevents jawbone shrinkage. Unlike other restorative options, implant-supported restorations stay firmly in place, allowing you to feel confident while eating, speaking, and smiling. 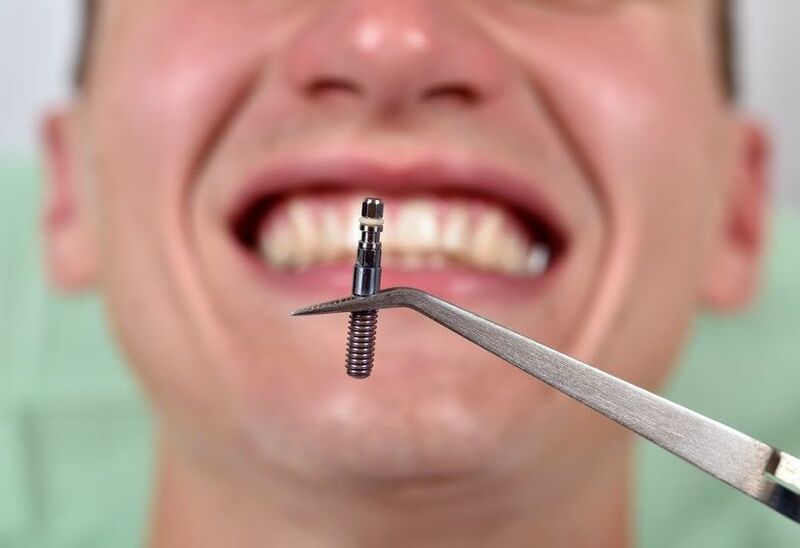 Implants are small metal posts that replace missing tooth roots. Once healed, they can provide a lifetime of support for dental crowns, bridges, and dentures. Dr. Kevin Trotter has extensive training in implant dentistry, and Dentistry at the Heights uses advanced technology to ensure the safety and lasting satisfaction of patients. In addition, we perform all stages of dental implants treatments here at our Brooklyn Heights, NY, practice and can combine implants with other restorative services in a full mouth reconstruction plan. To schedule a dental implants consultation, contact our practice today. Dental implants are small, biocompatible titanium posts. After a dentist surgically places them in the jaw, they will fuse with the surrounding bone to function like artificial tooth roots. The end result is a level of support for crowns, bridges, and dentures that simply cannot be matched by other restorative procedures. Unlike traditional types, implant-supported restorations will never slip or fall out of position. Additionally, implants send regenerative signals to the jaw, which helps to halt the bone recession that naturally occurs after tooth loss. At Dentistry at the Heights, we plan dental implants treatments with advanced technology. Using our cone beam scanner, we will first create a detailed 3-D image of your jaw. This will allow us to evaluate the strength of your jaw and determine the ideal placement locations for your dental implants. If we find that your jaw is too weak to support dental implants, we may recommend a bone grafting procedure to help you qualify for treatment. In some cases, we can use our innovative CEREC® system to create a restoration in our office and place it on the same day of implant surgery. To complete the first stage of treatment — implant placement — Dr. Trotter will follow a computer-guided surgical plan and insert your implants directly into your jaw. The number of implants being placed will depend on the type of restoration they will support. After surgery, the implants will be left to heal for four to six months so that they can completely fuse with the jaw through a process known as osseointegration. We can provide a temporary restoration for you to wear while osseointegration takes place. During the healing period, your implant-supported crown, bridge, or denture will be fabricated by skilled technicians at a dental laboratory. Once your restoration is ready, our team will attach it to your implants to instantly renew the appearance and function of your smile. In some cases, we can use our innovative CEREC® (chairside economical restoration of esthetic ceramics) system to create a restoration in our office and place it on the same day of implant surgery. We will determine the best approach during your implants consultation. For more information about our services, contact our office online or call (347) 492-1018 today.